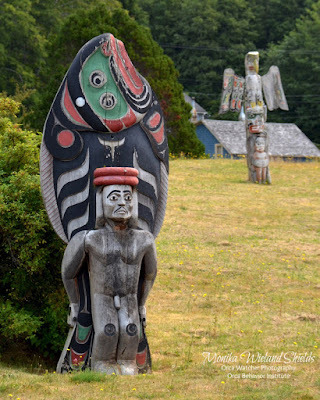 Another must-see sight is the Namgis Burial Grounds, where totem poles and other grave markers are viewable from the road. 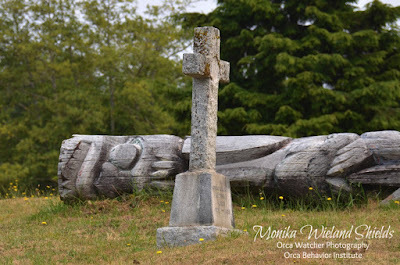 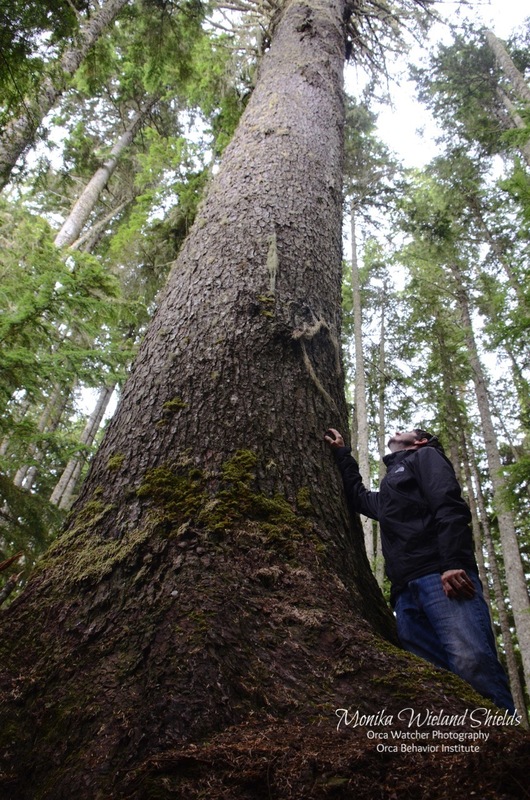 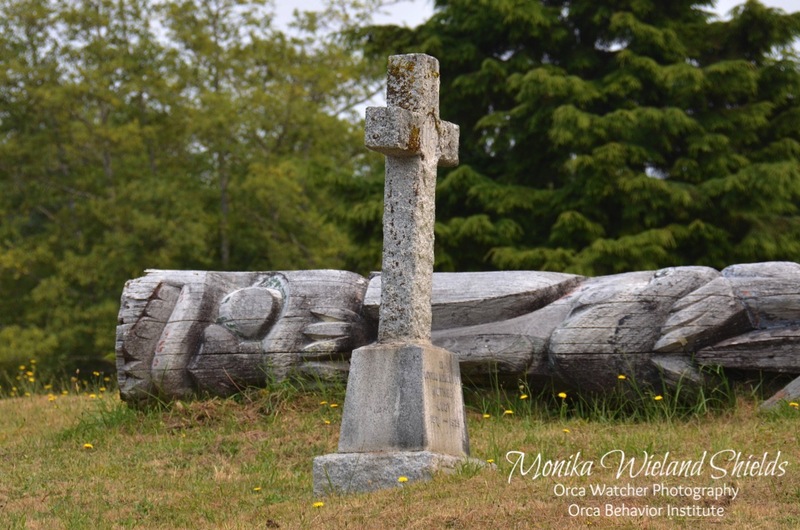 Some families choose to maintain the totem poles while others believe letting them decay and return to the Earth is part of their natural journey. Alert Bay is also a formerly bustling fishing village. 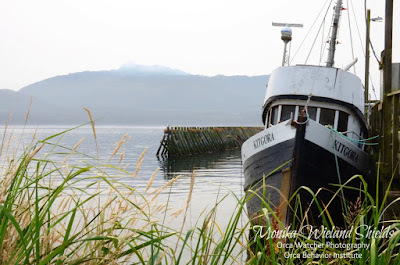 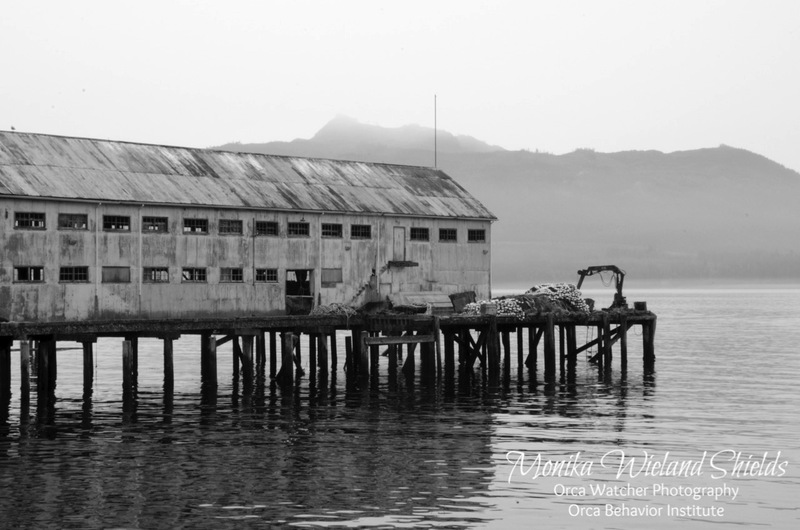 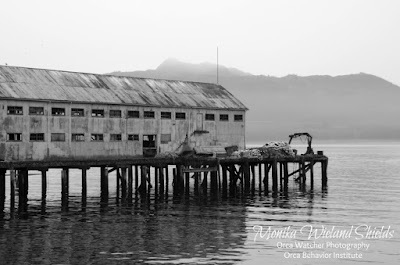 There are still a lot of fishing vessels in the harbor, but many have been seemingly abandoned, as was the old cannery near the marina. 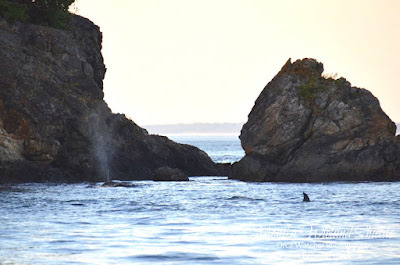 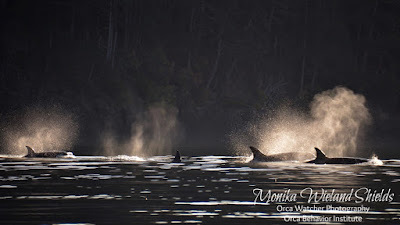 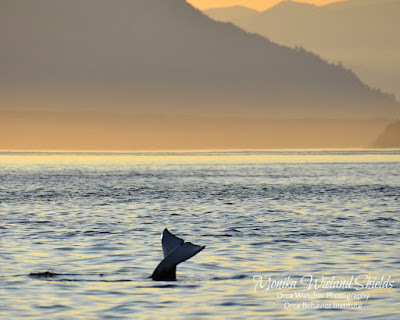 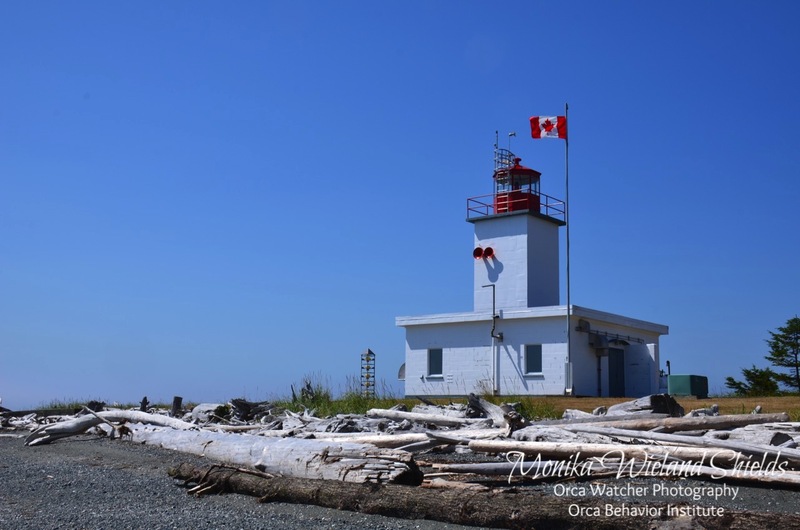 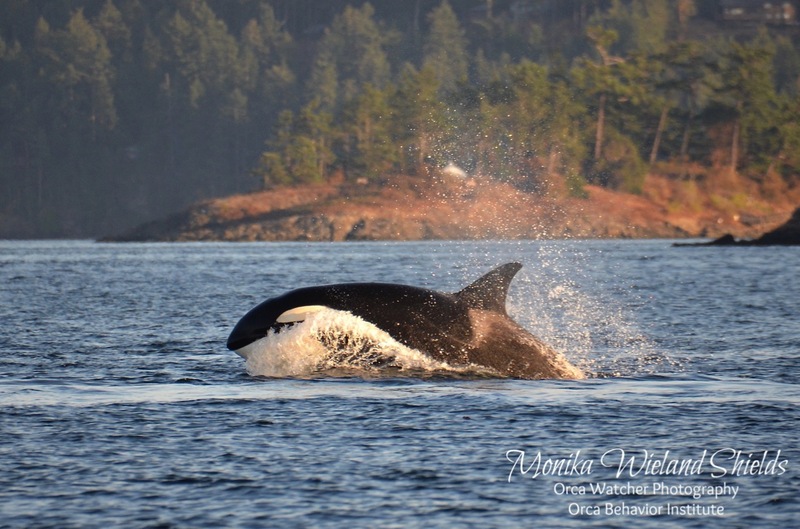 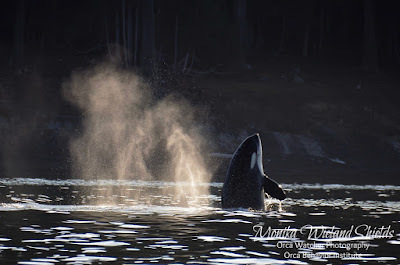 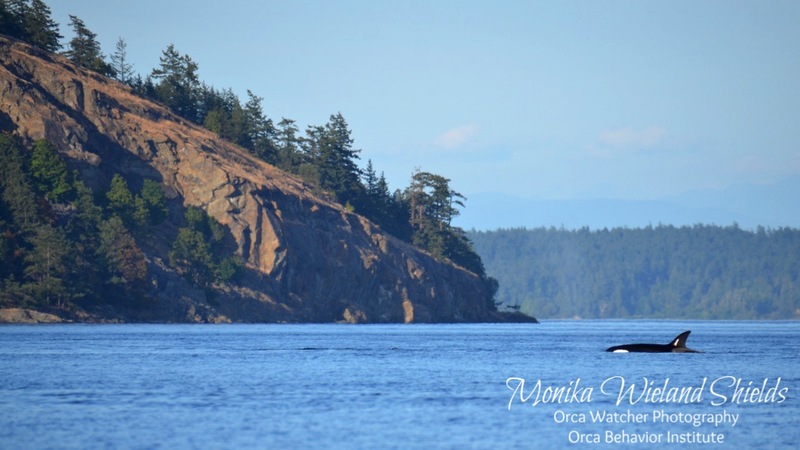 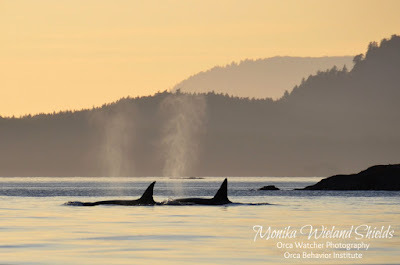 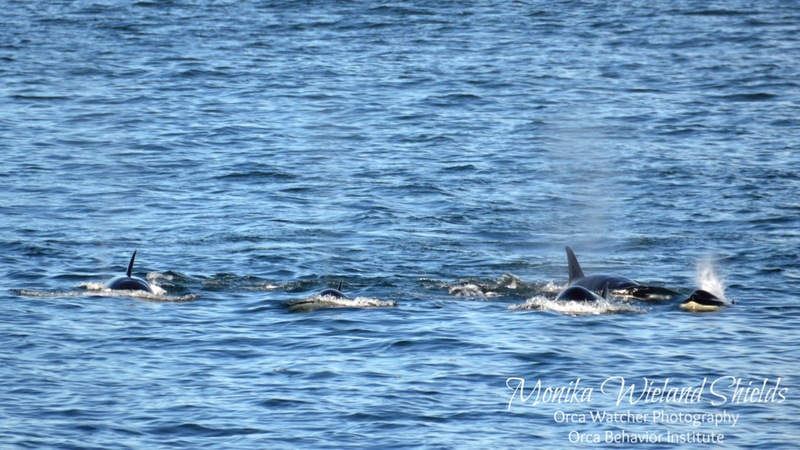 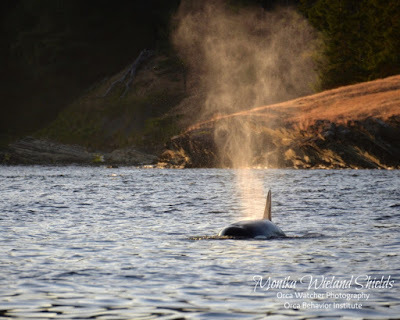 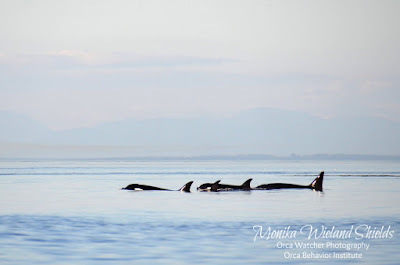 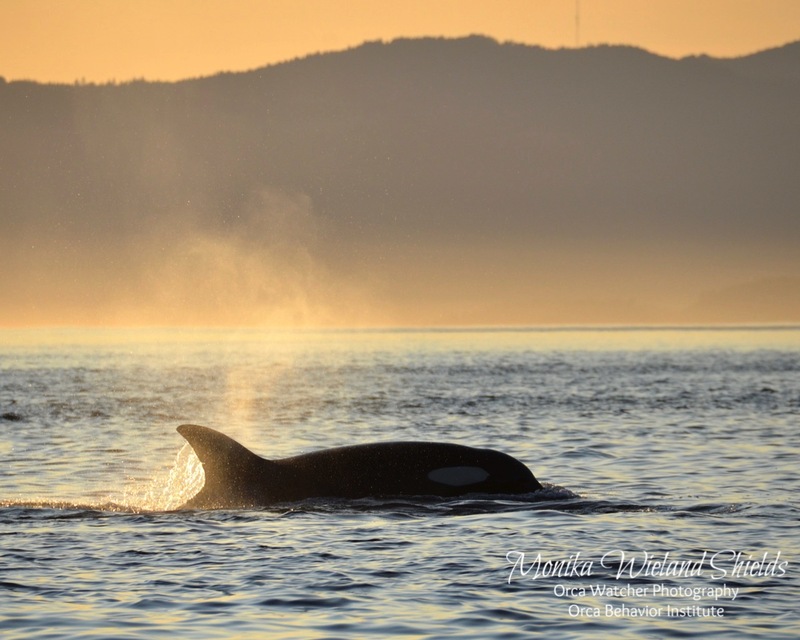 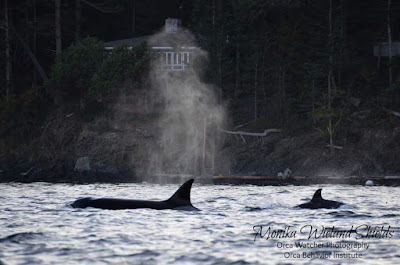 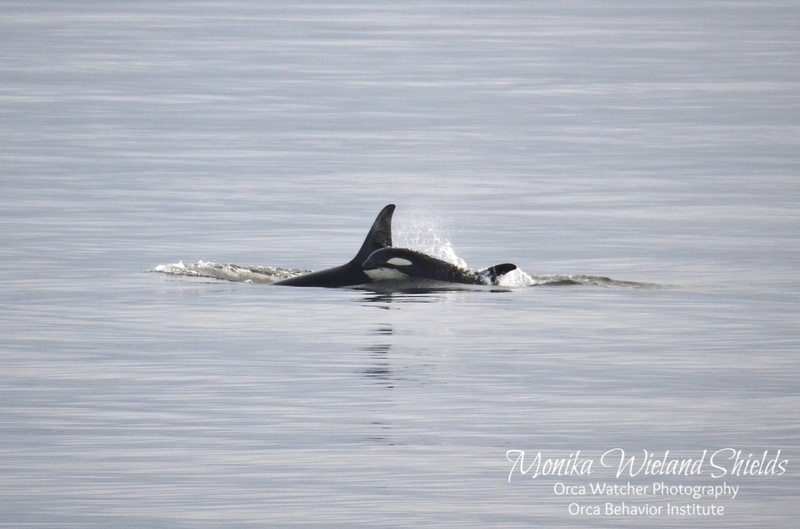 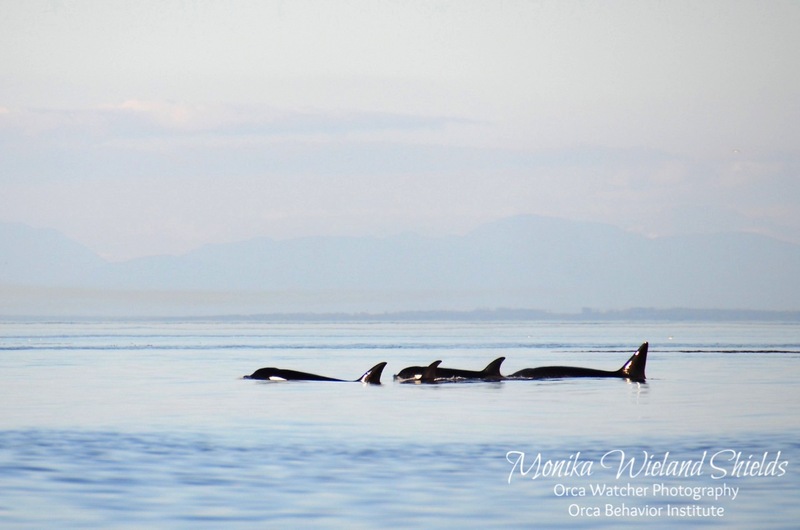 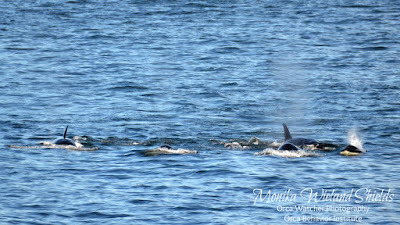 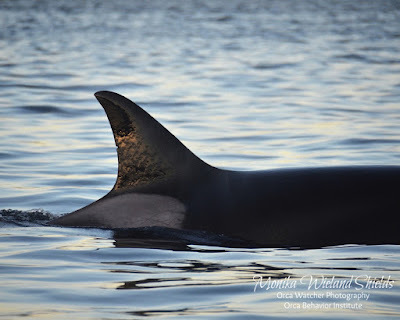 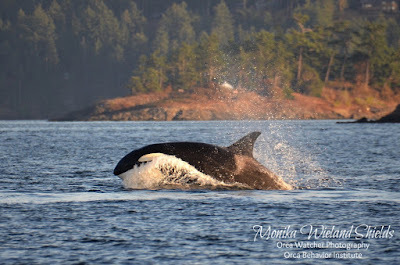 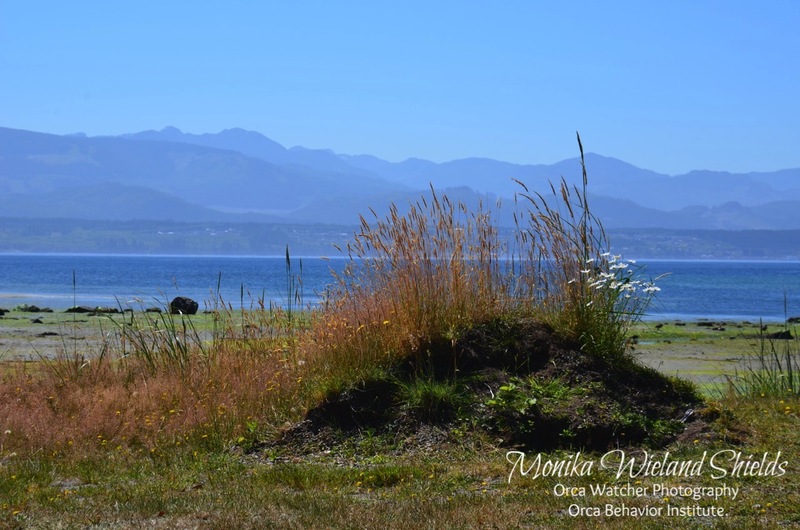 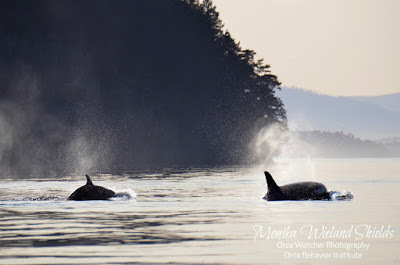 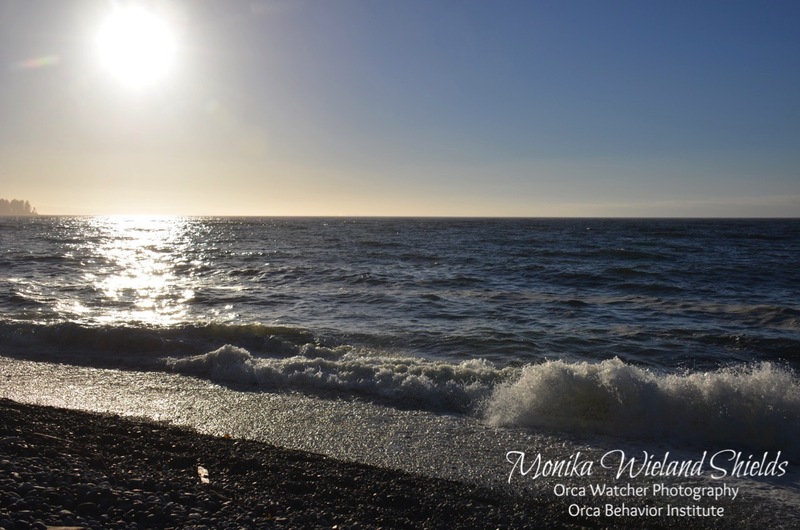 For many years I've dreamed of making the trip to northern Vancouver Island to explore as well as try to see the Northern Resident Killer Whales. 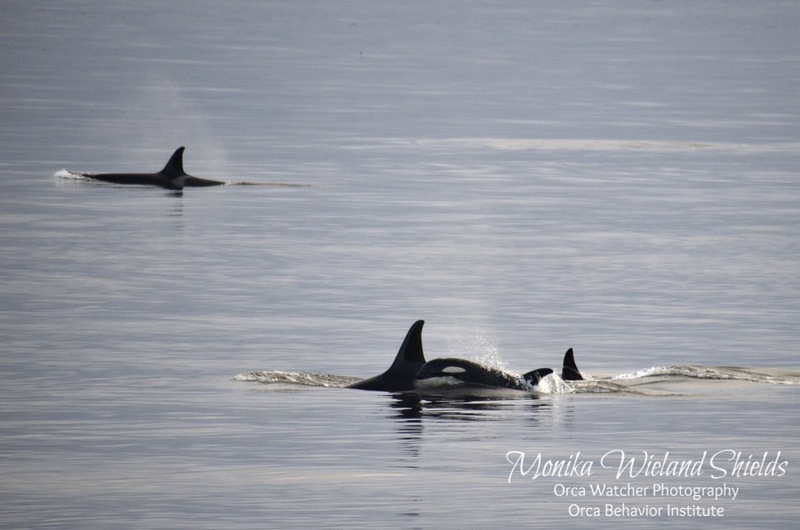 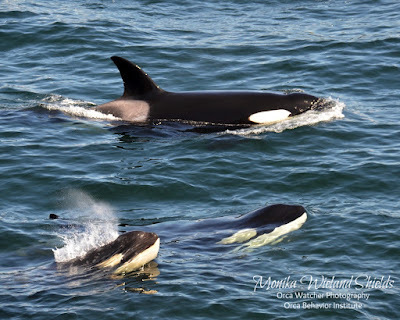 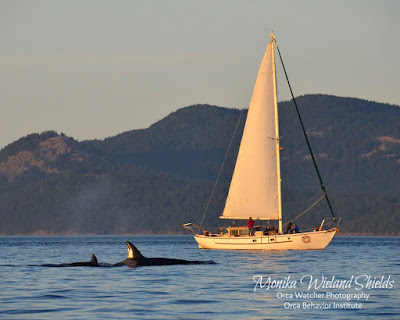 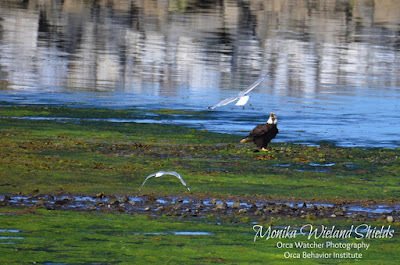 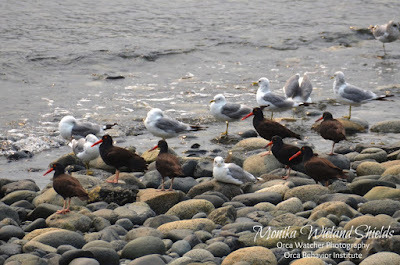 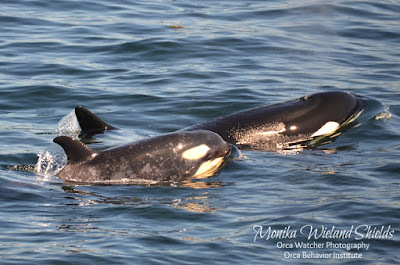 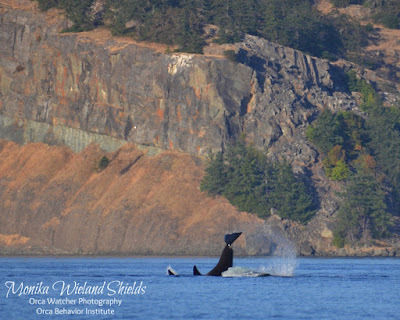 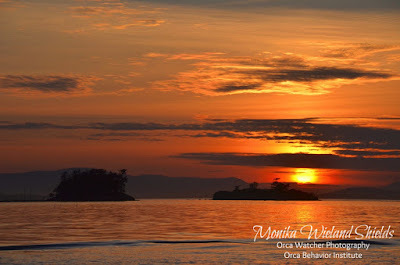 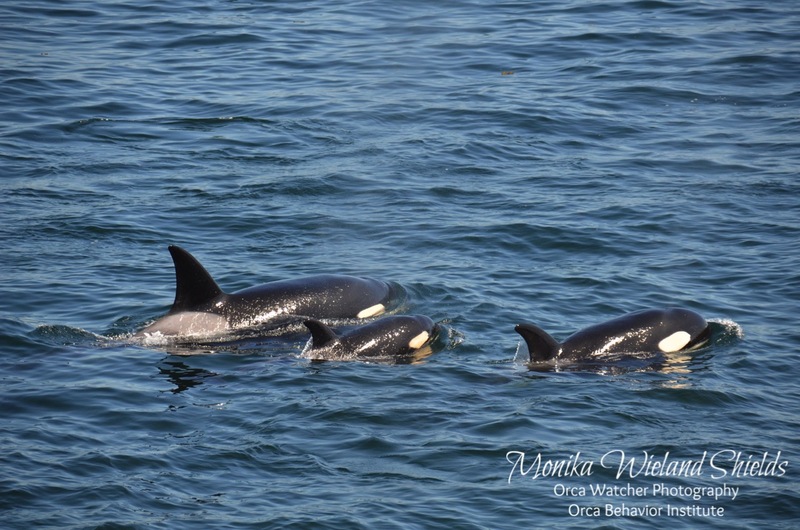 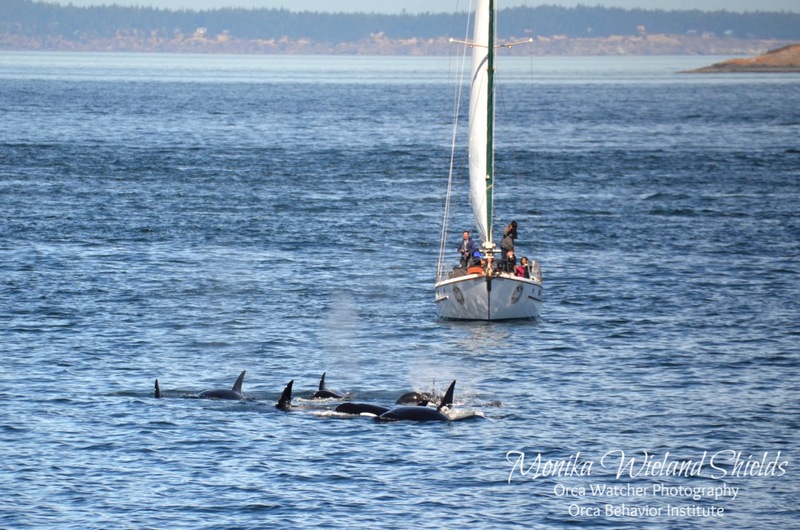 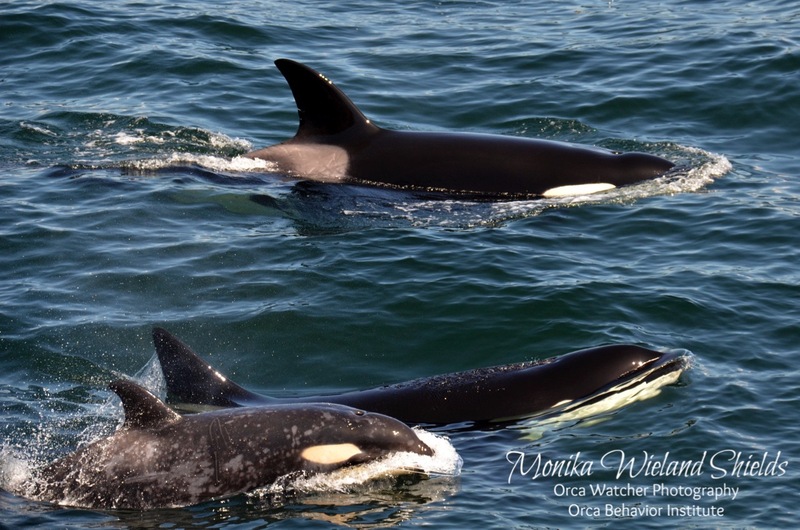 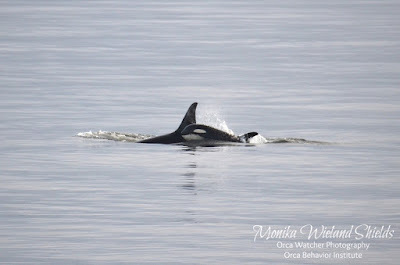 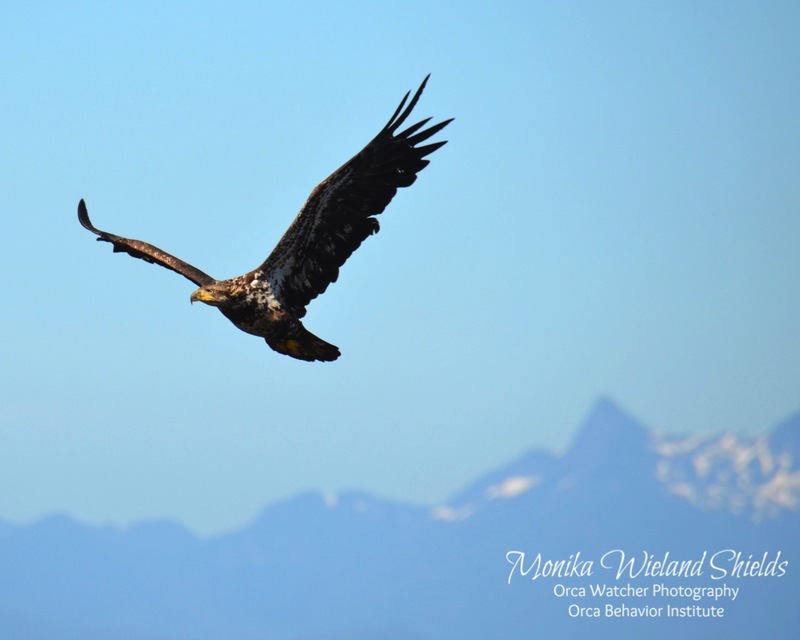 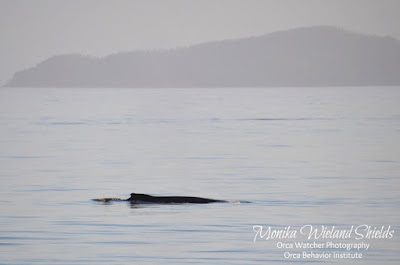 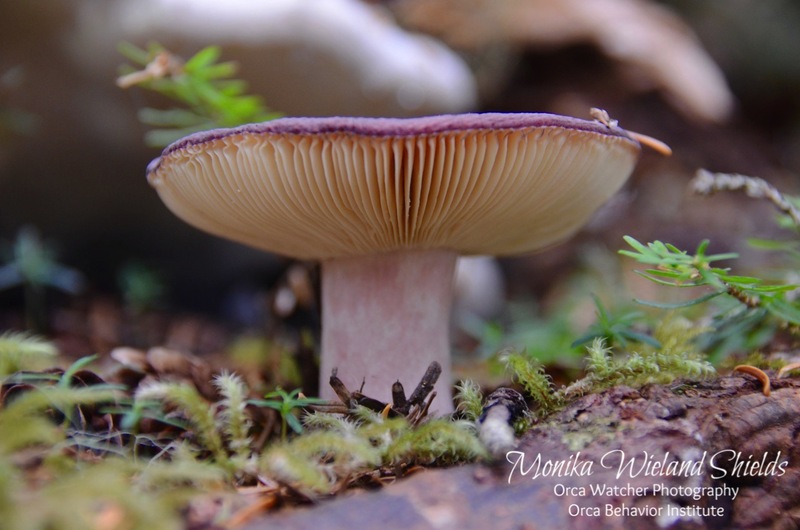 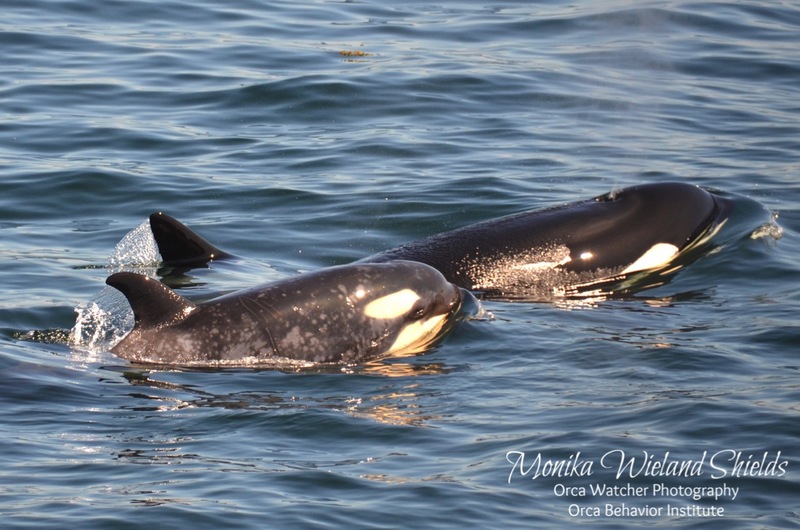 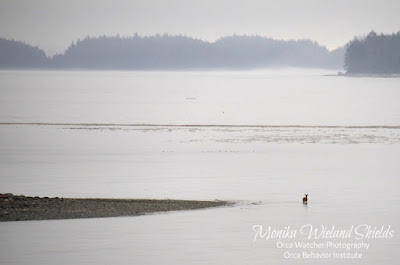 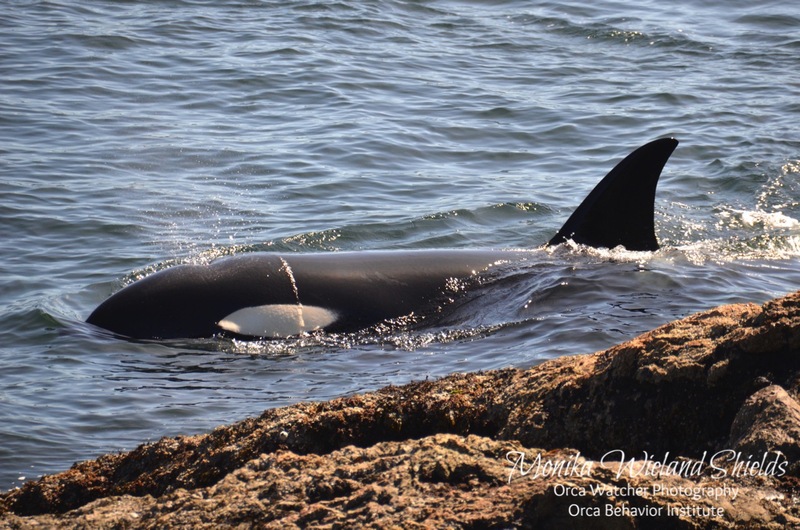 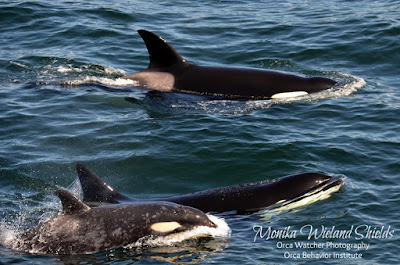 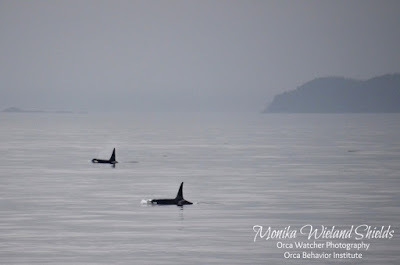 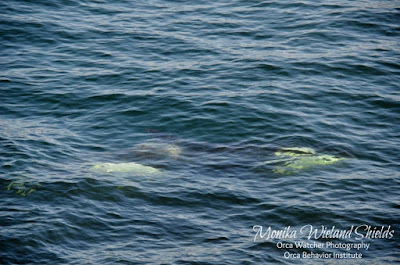 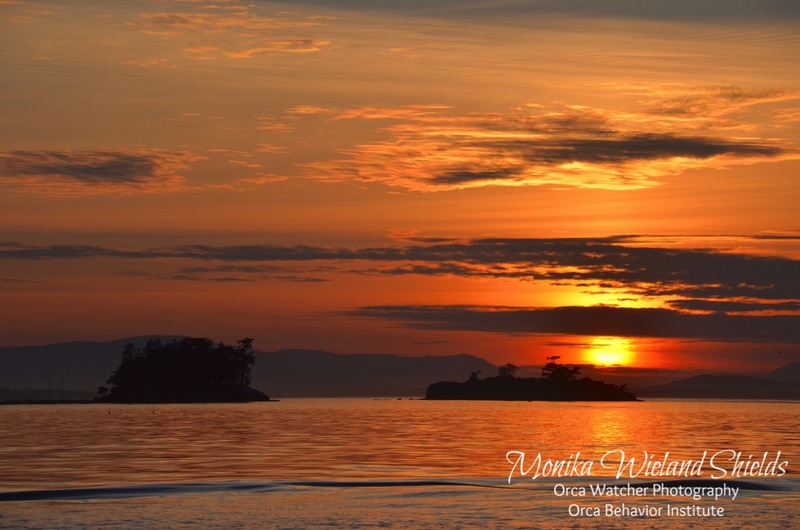 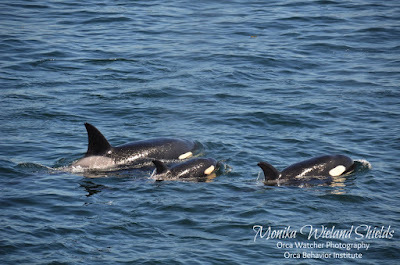 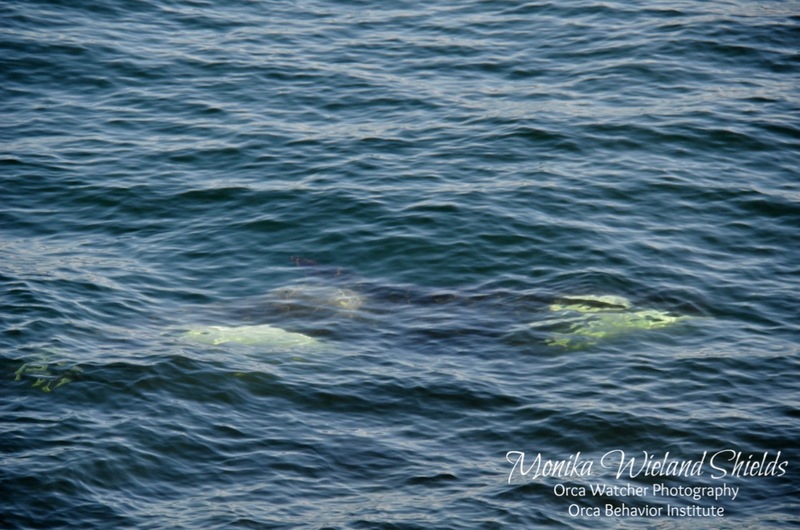 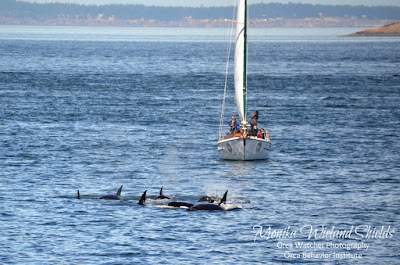 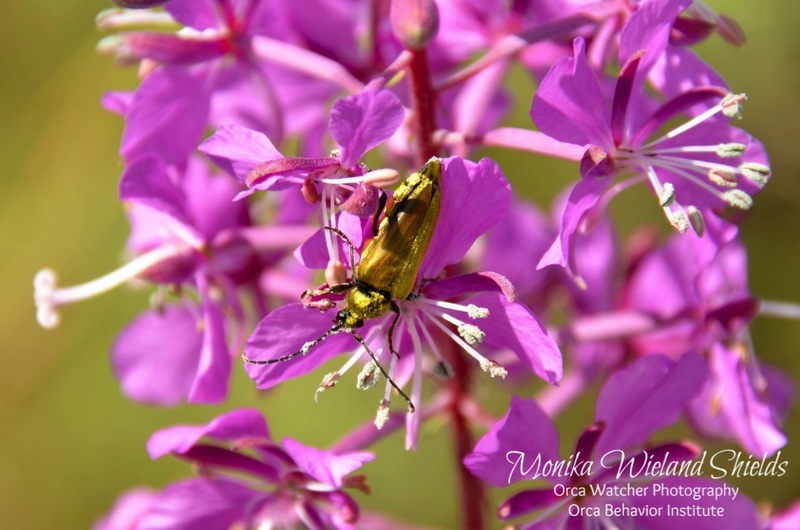 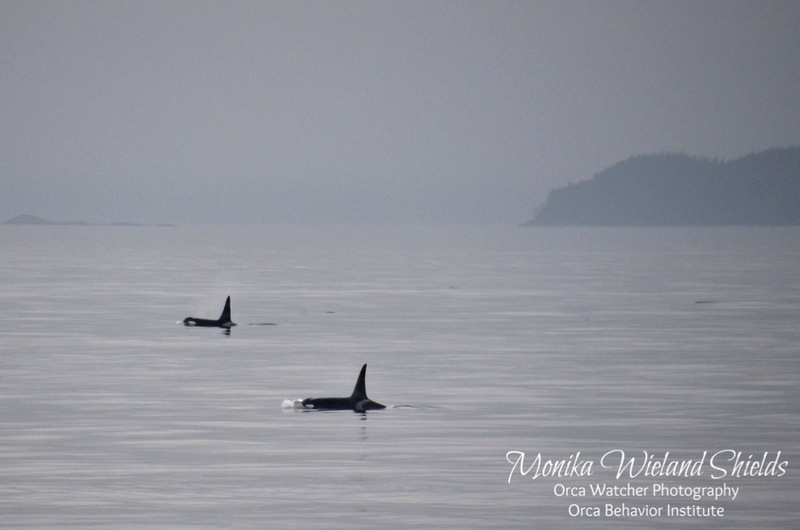 It hasn't happened in part because, though their peak season is a bit later up there, the best time to see the Northern Residents overlaps with the best months of seeing the Southern Residents so I find it hard to leave San Juan Island. 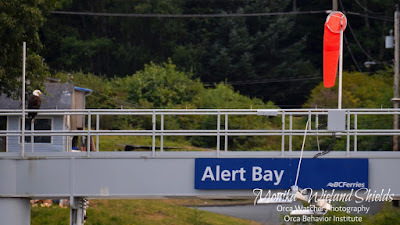 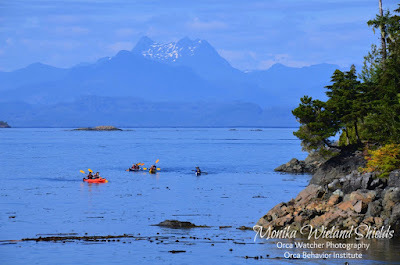 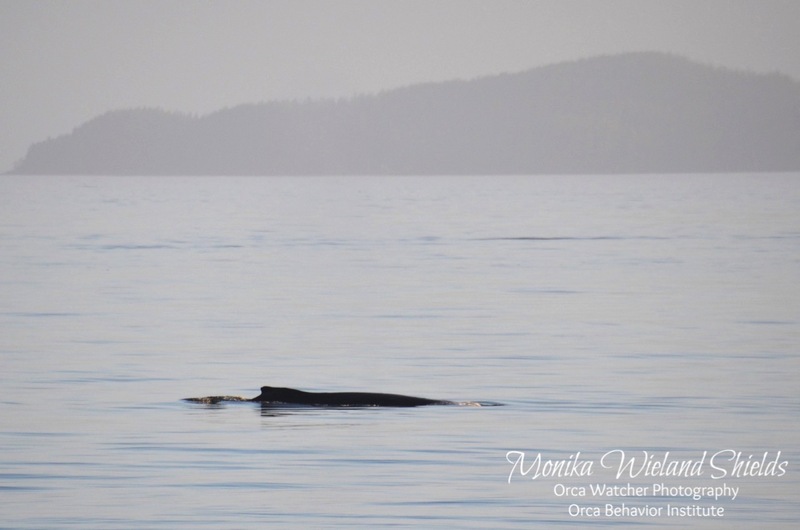 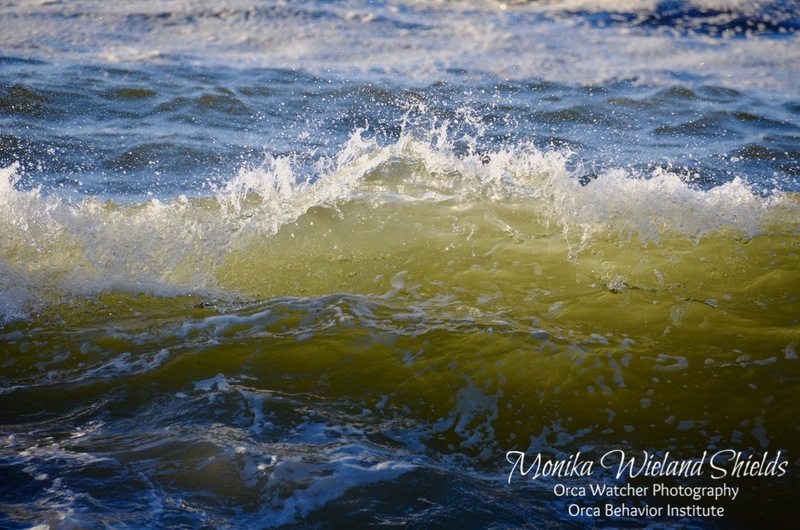 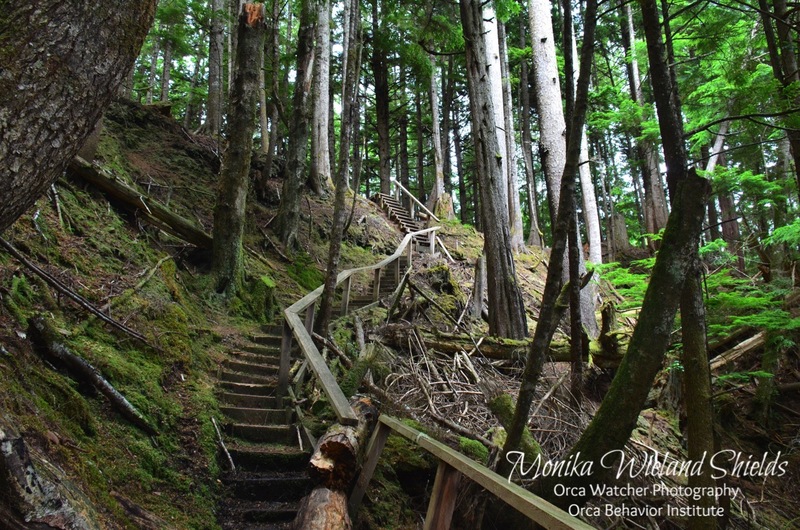 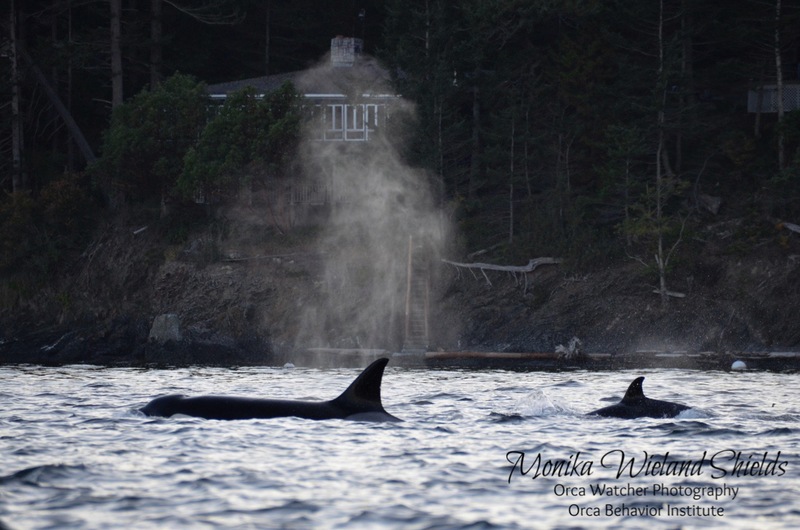 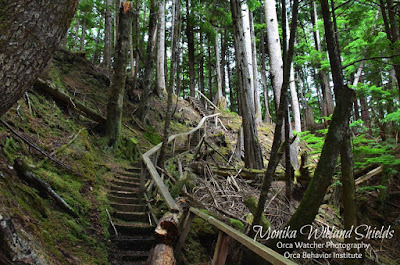 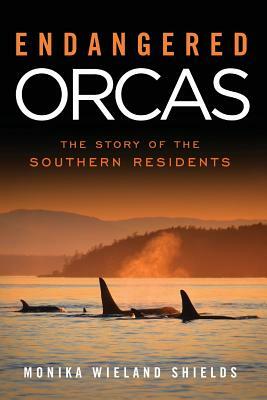 I've read about places like Alert Bay, Telegraph Cove, and Johnstone Strait since childhood, the home of some of my whale heroes (both humans and cetacean). In 2010 we traveled through those waters on the Alaska Marine Highway while taking a ferry from Ketchikan to Bellingham, and in 2011 I made it as far as Campbell River in August and up to Johnstone Strait by boat, but this was the first time I've been on land on the northern part of Vancouver Island. 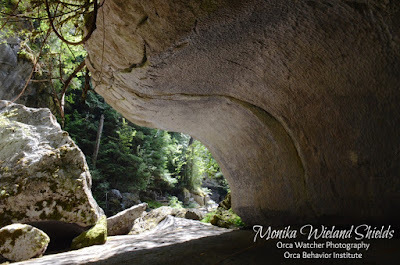 On our way up we stopped at Little Huson Caves, a hidden gem several miles up a washboard logging road. (This would not be the last logging road we would drive this week - they're used as the main source of access to many places up there!) 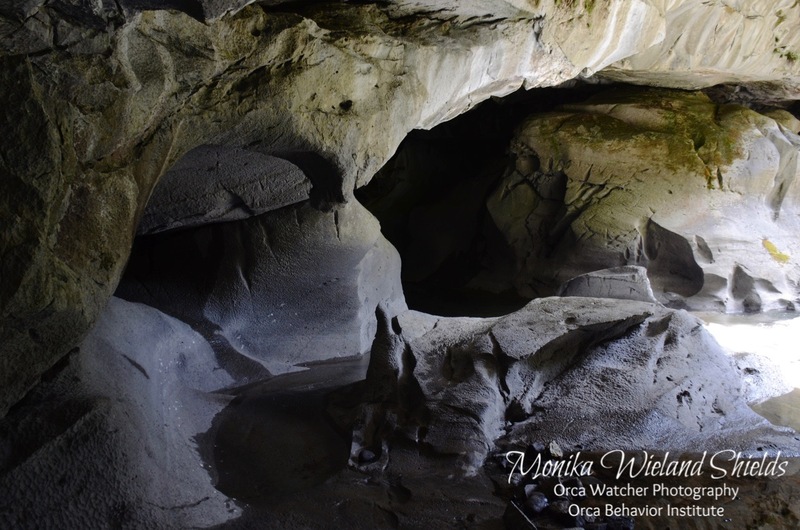 While the part that was open to the public wasn't really a cave, they were still impressive and beautiful rock formations. Next stop was Telegraph Cove - a hotspot for tourists, but very scenic! 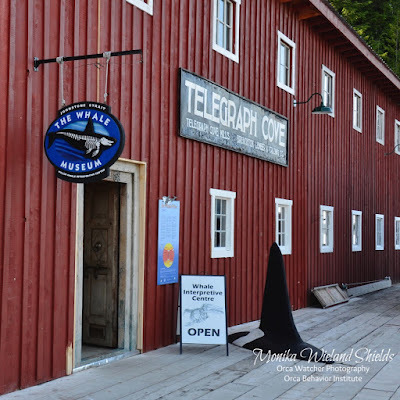 There's a boardwalk around the marina with restaurants and historic buildings restored as lodgings, and the Johnstone Strait Whale Museum! We spent the night, however, a little further up the road in Port McNeill, in a cottage on top of a hill overlooking the straits. 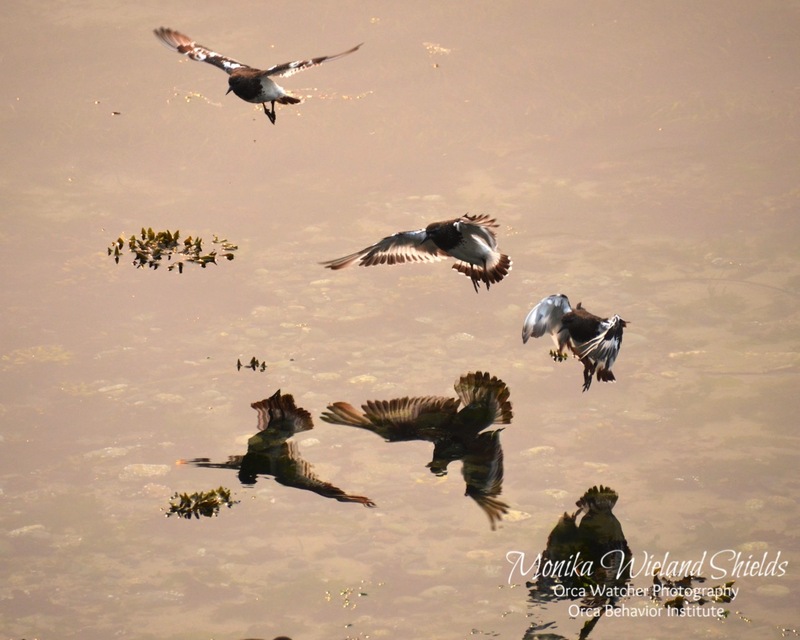 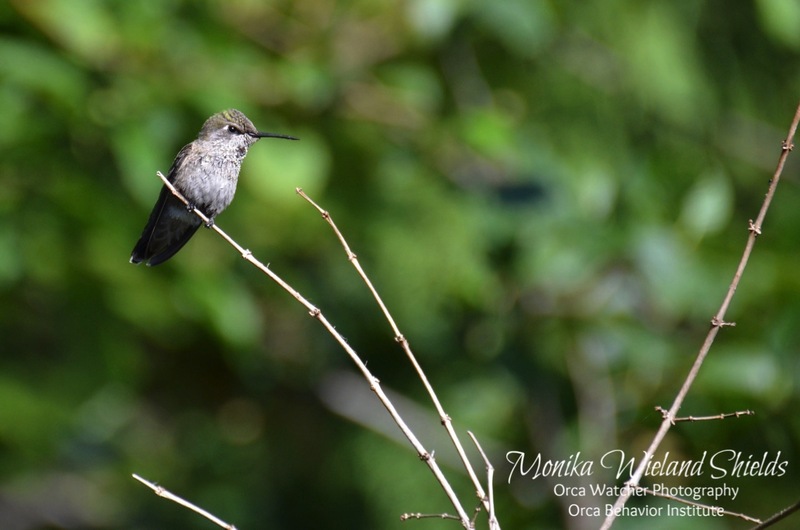 When we woke up in the morning there was a lot of bustling bird activity just outside our front door, including maybe 10 rufous and Anna's hummingbirds! 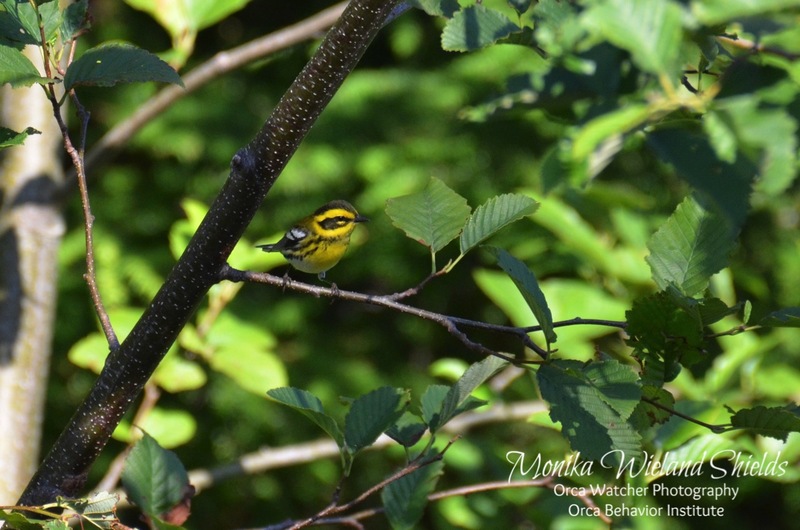 I was surprised to see a couple of Townsend's warblers, too - probably the best views I've ever had of this often secretive species! 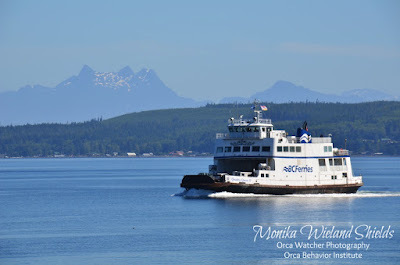 A little later in the morning we caught a ferry from Port McNeill over to Sointula on Malcolm Island, where we spent four nights camping. I love the BC Ferries, and this one was especially cute. 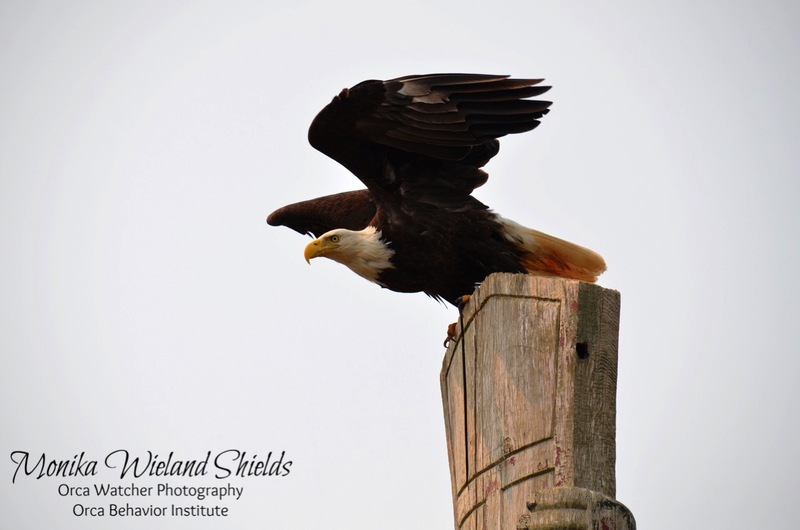 Eagles would be a highlight throughout the trip, as a pair of immature eagles were right at our campground to welcome us, too! 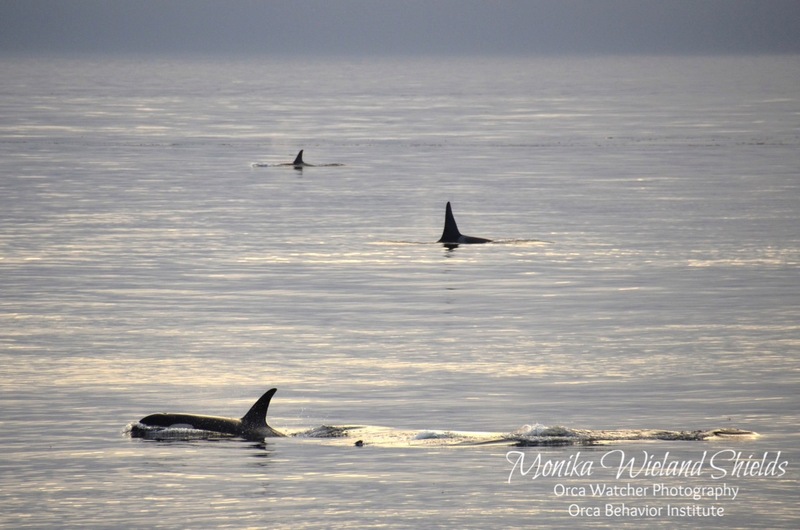 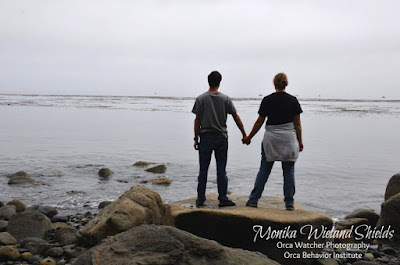 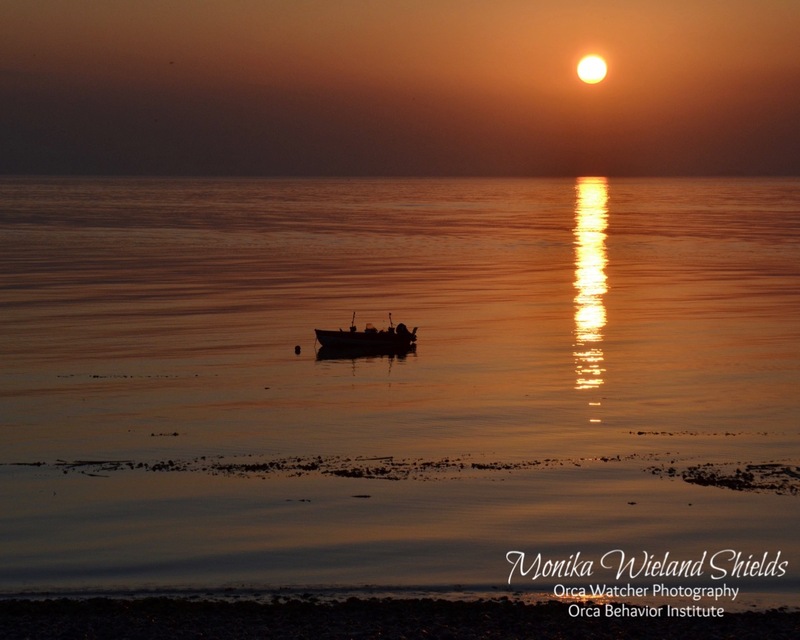 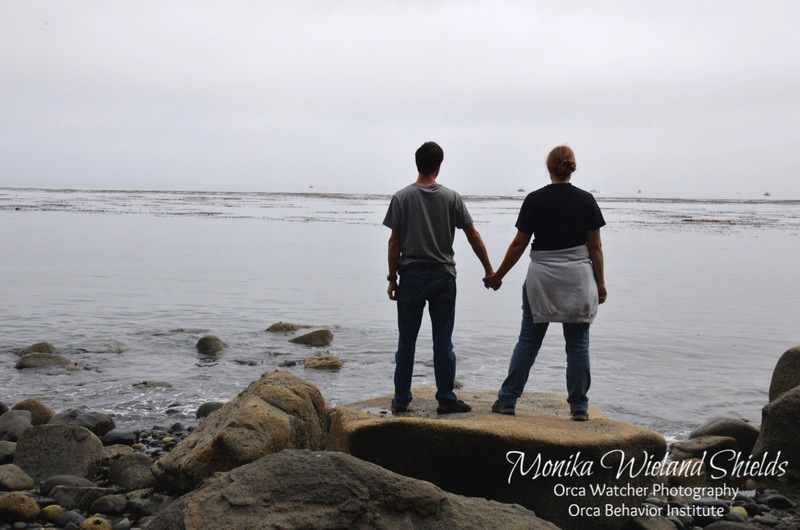 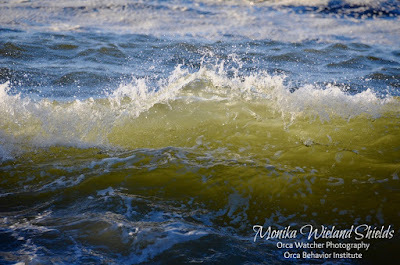 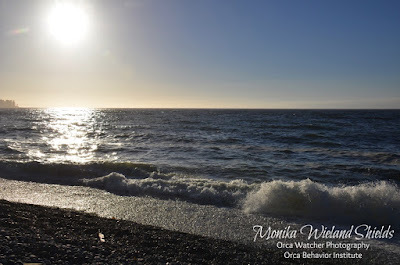 On the evening of July 31st we spent our first few hours at the beach where we hoped to see Northern Residents. 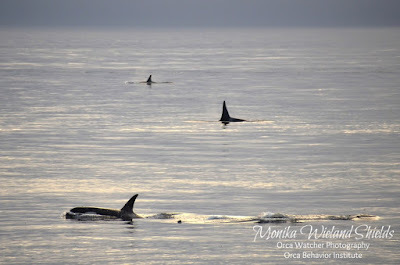 We didn't have any luck that night, but stay tuned for the next post to see what we saw when they woke us up the next morning!